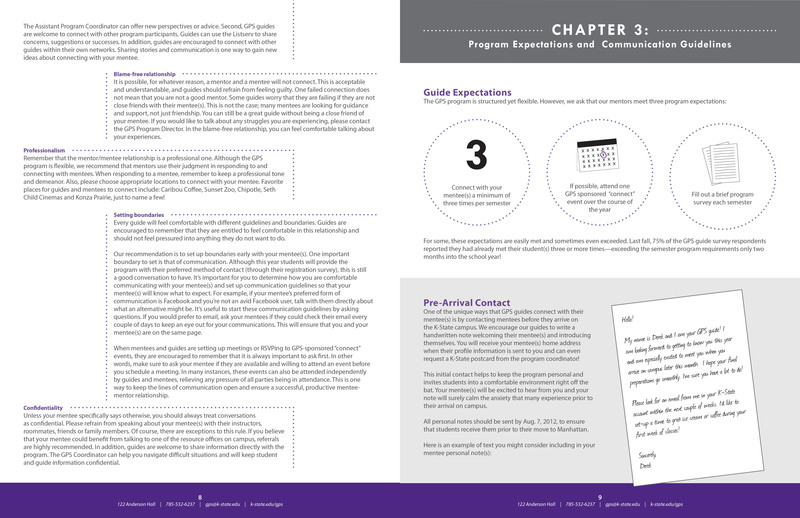 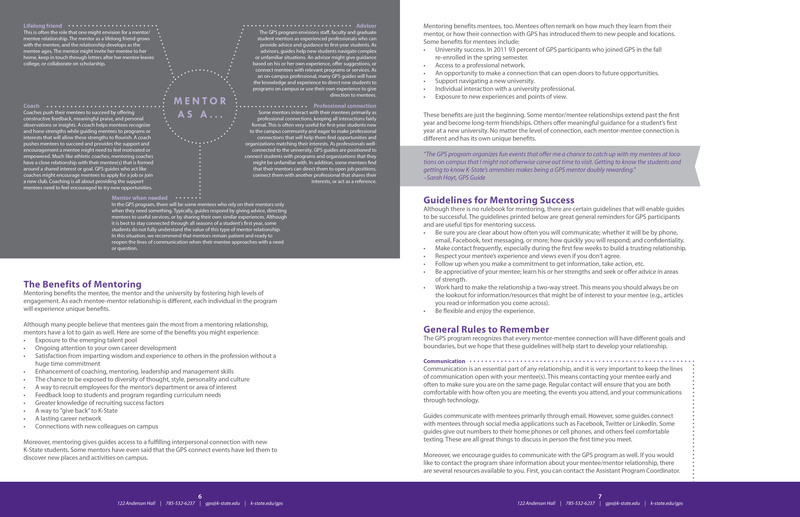 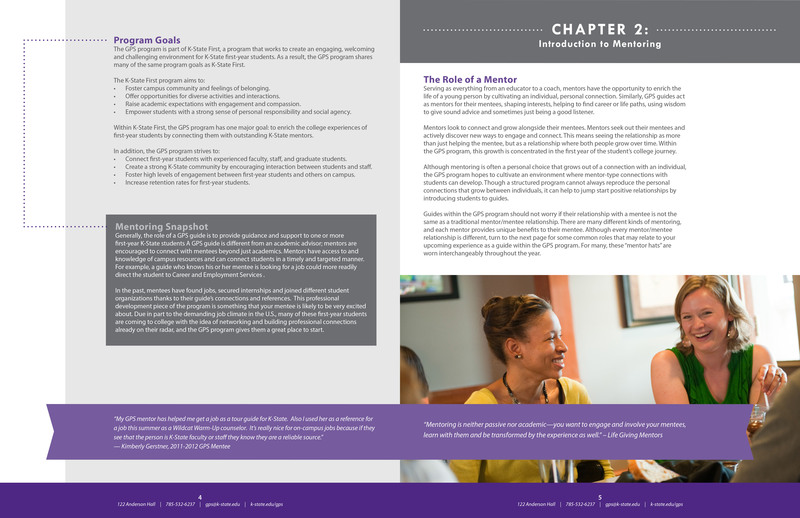 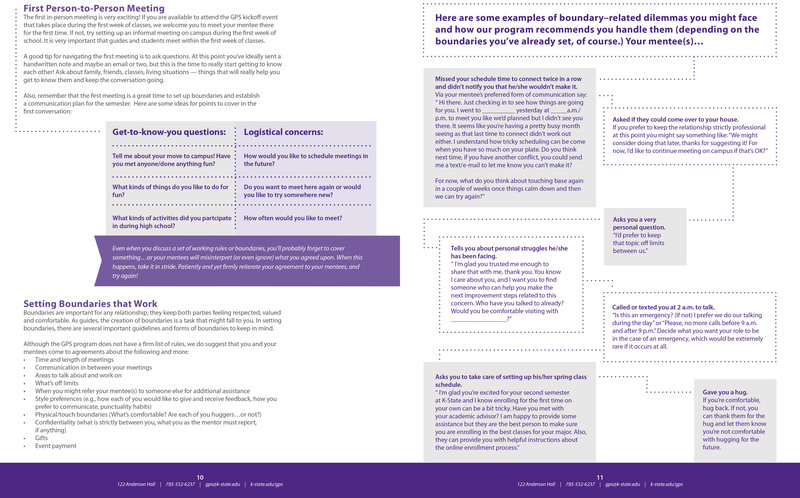 In 2012 I had the opportunity to work with one of my favorite student services programs, Guide to Personal Success (GPS), on their new program manual for faculty mentors. 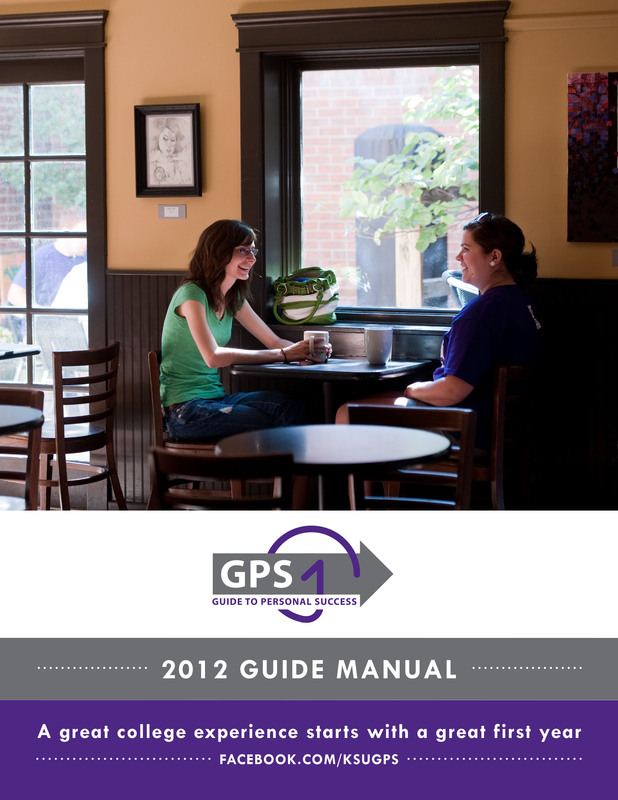 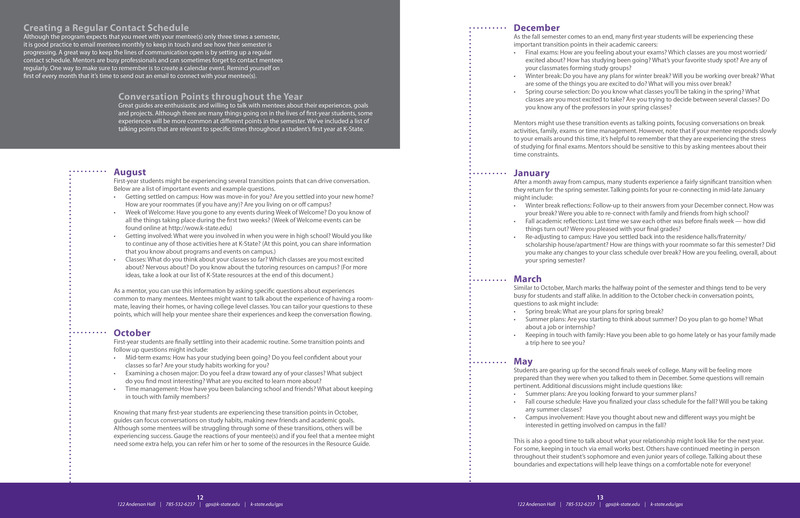 GPS is one of several programs within K-State First, an initiative to increase first-year student retention on campus. 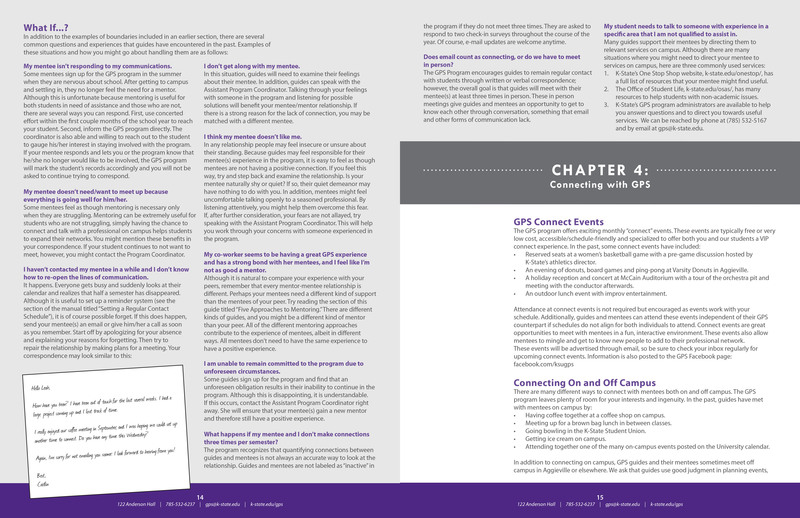 GPS pairs students with faculty mentors, who “guide” students to relevant services and programs within and nearby the university. 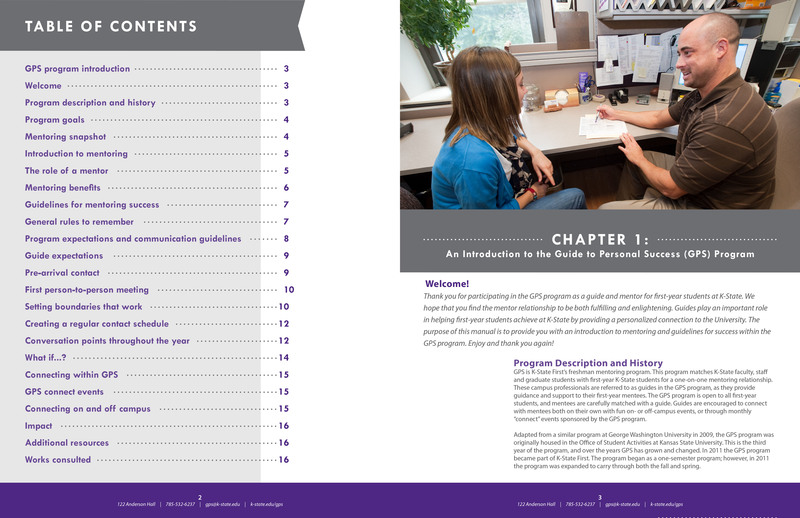 Since all faculty members were volunteers with higher degrees and busy schedules, the goal was to create easy, fun, professional copy with plenty of redundancy for easy referencing as our volunteers skimmed for relevant information.